BALLERINAS Still kicking myself for not buying these Maryam Nassir Zadeh shoes before they sold out. Fingers crossed that they’ll pop up in her store again! DREAM COAT I’m currently on the hunt for a navy blue coat for fall and this one from Jacquemus would be perfect! 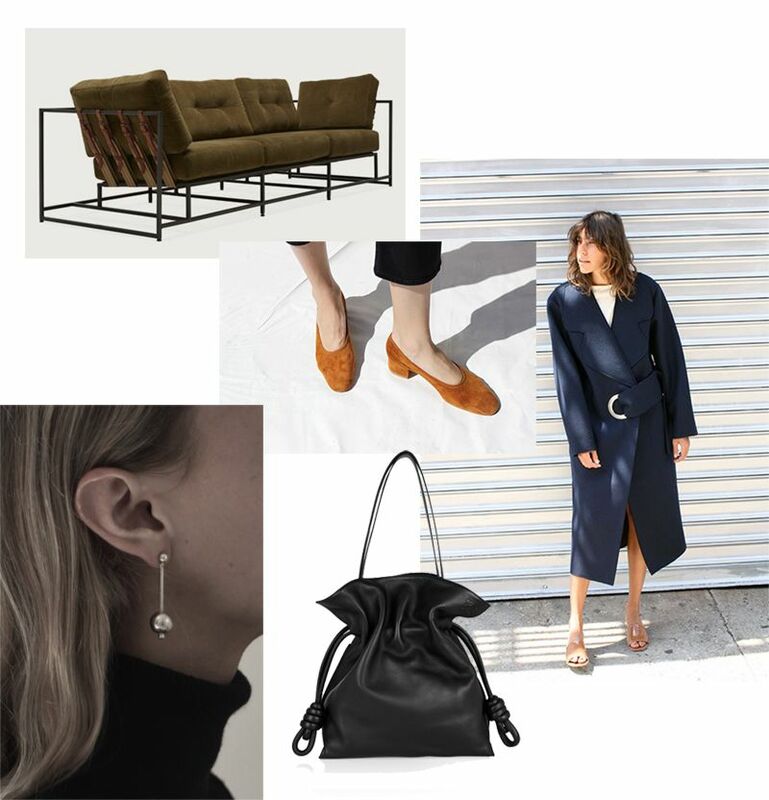 BLING BLING – Lusting after everything Sophie Buhai lately and these earrings are no exception. TIE THE KNOT – I’ve been looking for a new black bag for a while and this one from Loewe makes my heart skip a beat.